If you are a sewer or in an industry where sewing is a key thing, and you are dealing with heavy leather, then a heavy duty leather sewing machine is your preferred choice. You must be hunting down for a machine that is fancy, and that does things well and with care. It should also be reliable, have plenty of power and reliable. Power should be which is capable of sewing through multiple layers of fabric with ease. This machine is designed for those who sew through materials like leather, denim, or canvas. It is, therefore, suitable for shoemakers, bag makers and novice sewers who are aiming in establishing their niche in heavy leather materials. This heavy-duty machine is most suitable to suit them. Make quick work of needle threading and making sewing your hobby by spending more time while sewing. 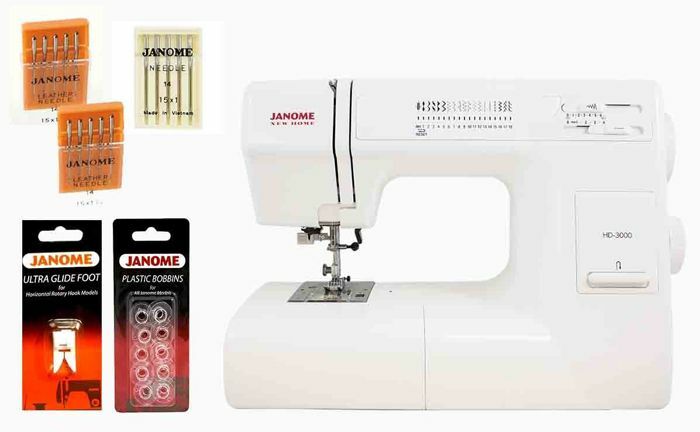 Janome HD3000 has a drop in bobbin for quick re-threading of your machine. There are also thread guides and needle threading is automatic. Along the top of the machine to the right of the stitch selection guide, you'll find the stitch length and width adjustment slides. Simply slide them to set you to want and away you go. This makes it easier for any person to sew as it does all work easier. Stitches produced by this machine are extremely of high quality and consistent. 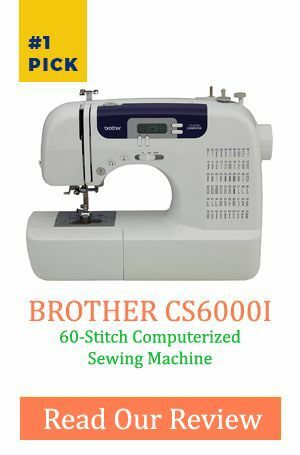 With its top speed of 860 stitches per minute, it will surely do your work at a costly time thus time efficient. It is not about to delay your clients of either unmade products. This feature aids you and makes sewing easy and fun. It helps you adjust your fabric to a required thickness. On the inside of the cover, you find a guide that helps you choose correct presser foot to use for which application and a note about resetting sensor after performing each buttonhole. This reverse level has a button that helps you reverse stitches used to for securing thread in fabric at beginning and end of a stitching line. Q. What fabrics can I sew with Janome HD3000 Heavy Duty? A. It is suitable for a range of different fabric weights, from silk to denim. On many machines, these results will only be achieved with correct needle and thread combination, so specialty needles and threads may need to be purchased separately and may not be supplied with your machine. Q. Can I adjust the stitch width and length on the Janome HD3000 Heavy Duty? A. Maximum stitch length is 4mm, and the maximum stitch width is 6.5mm. The stitch length on this model is adjusted with an Adjustable or Manual Control. Q. 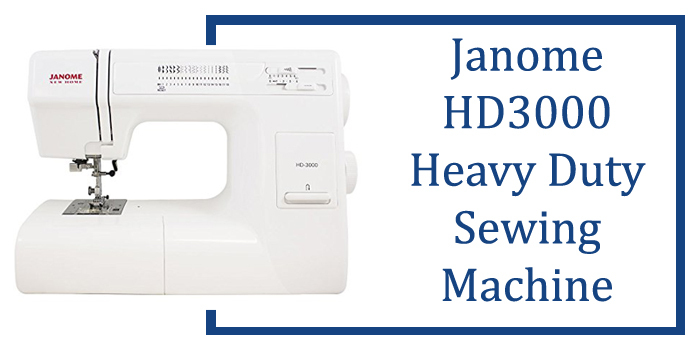 What are the basic stitch types for the Janome HD3000 Heavy Duty? A. Stitch types are Straight Stitch, Buttonhole, Decorative, and Zigzag. The buttonhole process is a 1 Step Buttonhole. 1 step buttonholes are automated and easy to use for beginners. This machine is of high quality and designed to do extremely well offering 21 most commonly used decorative and utility stitches. It is ideal for those looking for a solid, reliable sewing machine that can handle a great deal of use.